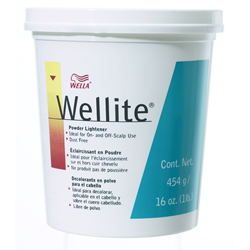 Wellite dust free, environmentally friendly formula. • Ideal for on- and off-the-scalp lightening. • Moisturizing agents ensure creamy consistency during processing. • Excellent for highlights with foils or balayage techniques, full head lightening, regrowth applications and color correction. • Available in 16 oz. tub. • Dedusted, creamy smooth formula. 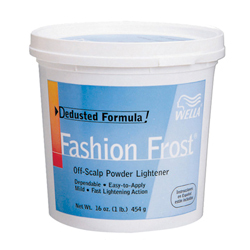 • Off-the-scalp formula stays moist throughout the decolorization process. • Economical to use, easy to mix. • Available as 1 lb. tub.